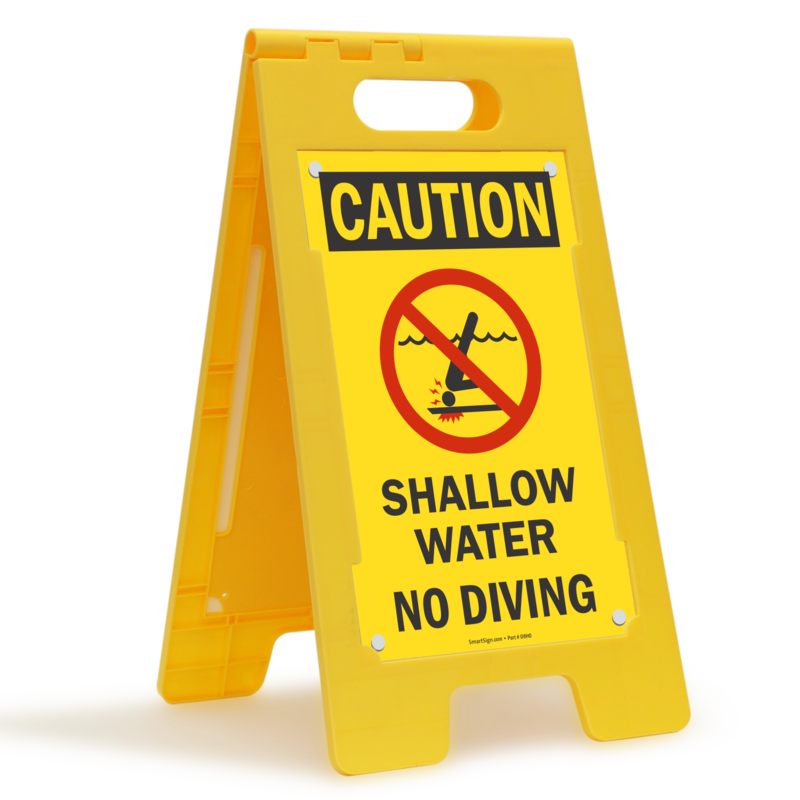 Promote water safety with a bold sign. 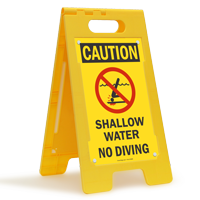 Use a 'Shallow Water, No Diving' free standing floor sign and save pool users from dangerous pool accidents. 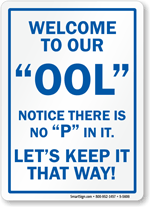 Let everyone in your pool area know that diving is not allowed. 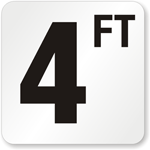 • Floor sign has a handle cut out for easy carrying and storage. • It is sturdy enough for withstanding daily wear and tear, can be packed and stored easily. 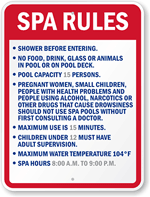 • Graphic makes your message clear.